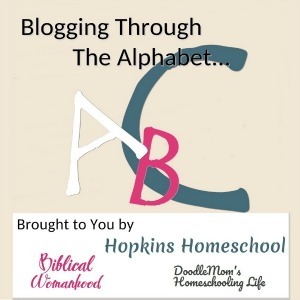 Does your homeschool curriculum include a foreign language? Just one? Or more than one? Plain old boring books, or a program that teaches you the actual language through speaking? 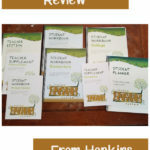 We had the opportunity to review Mango Languages Mango Homeschool Edition recently with The Schoolhouse Review Crew. 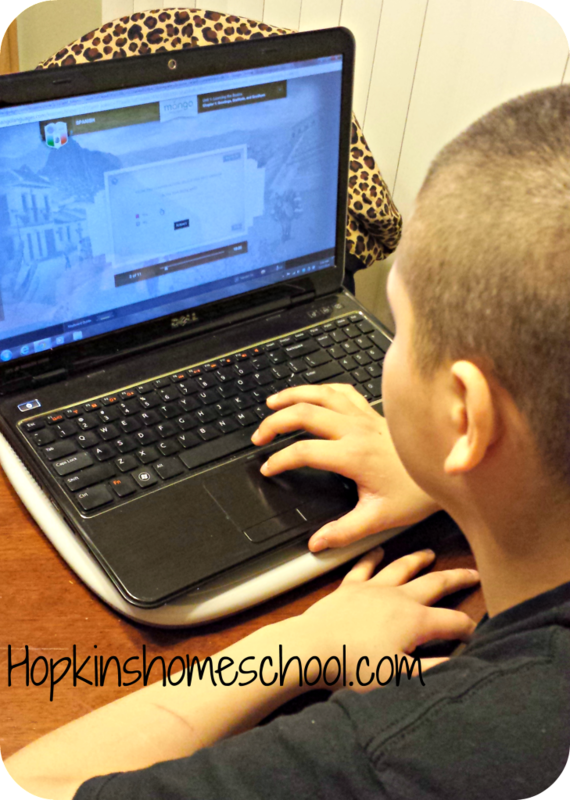 Mango Homeschool Edition is an online program that helps you to add in that foreign language to your homeschool curriculum. Mango Homeschool Edition offers you over 60 foreign language courses with access to all of those with your subscription! 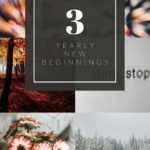 You don't have to worry about the boring vocabulary that you won't remember years from now, Mango Homeschool Edition helps you work on actual conversations from the beginning, just like when you learn your original language. You don't have to worry about carrying around books and DVDs or CDs. Everything you need for this course is right here on the computer. There is no special computer equipment or operating system required. You may have heard of Mango Languages before, as they have been around for years now. They have a library program that is free if your library has a membership. But there is only one problem with that…they don't have all the levels of the different languages available with the library edition. 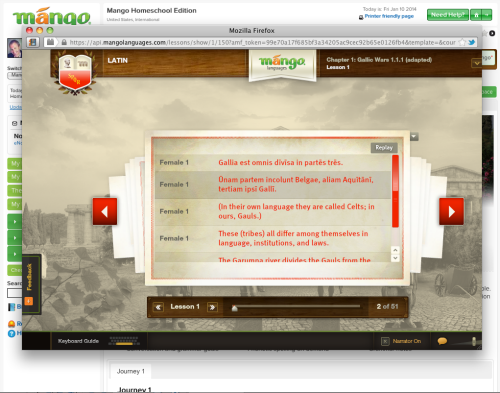 With Mango Homeschool Edition you have access to all the levels of all the languages. Which, I find to be well worth it if you really want to learn the language. Mango Homeschool Edition is recommended for ages 6 up to adult. Moe Man and I have been using it, and Ray Ray hopped on and started having fun also. He is only 5, but was able to easily navigate the course and since there really isn't a huge need for the reading, he has been picking up on the different words and phrases of French. Yes, he picked French…because he wants to go to Paris and the Eiffel Tower! Ray Ray hasn't had to use this for an actual class. He has had the opportunity to play on it. Moe Man and myself have been using this program for at least 4-5 days a week…both of us will sometimes do more if we are having too much fun 🙂 Since Moe Man is only in 7th grade this year, and there is no requirement for a foreign language yet, we are using this as our introduction, or review in my case. Moe Man had wanted to do Chinese for his language of choice, but I said he could only do that as a free choice and we worked on Spanish (Latin America) together. We kept a notebook of the different words and phrases we were learning, as well as how the verbs work together and the formal and informal versions of speech. By taking this notes, we were able to practice throughout the day, even without the computer! After you complete the chapter, you are given a quiz on what you learned. This is where Moe Man struggles. He does not like quizzes. So, since we homeschool, I tweaked this for him. I have the printed up file of what we are learning and we would go through and have the conversation over and over again throughout the quiz. This really helped to re-enforce what we were learning, and help with the quiz taking process. Not only do you get to learn how to have conversations within the language you are learning, but you get to learn the cultural and grammar notes. They do not place a huge emphasis on this, but they do not leave it out also. You have to think…when we learned how to speak as babies, you never heard WHY you said what you said…you just heard it and learned it. 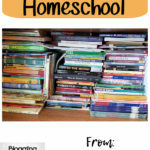 Mango Homeschool Edition seems to be doing this same thing. 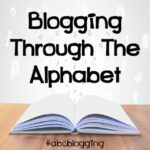 I really like this way of learning much more than any other way of learning when it comes to a new language. I really liked the idea of this program and the fact that it is focused on the hearing and speaking of the language. I would have loved to see a little more worksheets or paperwork to help the visual learners. However…Moe Man loved the program and learning the different languages. He loved being able to listen to the different language and using their voice comparison tool to see how well he was matching them. When I asked him what he would want to see changed, he said nothing. He liked the whole thing and felt it was easy to navigate and understand.